In this era of customization, people want their things to look different from the rest. Take for instance the gadgets these days. Consumers always find ways to change the look of their phones by using mobile phone accessories. Even chargers can’t escape being dressed up by their owners. The reason people customize their stuff is because they seek individuality. They don’t want their things to look generic. If phones can be customized, why not customize your garage doors? The garage door is one of the most visible parts of your house from the outside. 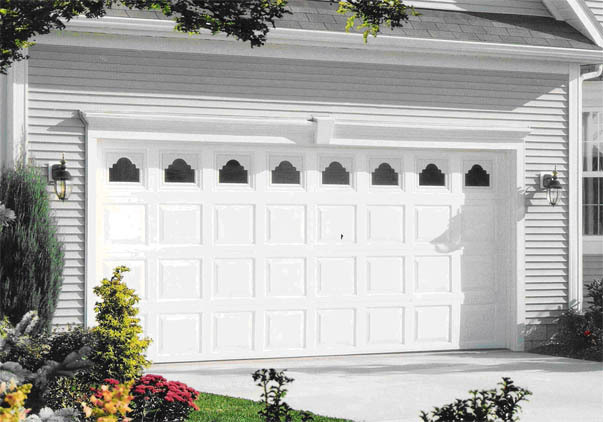 If you want your home to look unique, you can consider giving your garage door a makeover! Here are some tips to help you out. A good color combination can bring out the best look of your home and a bad one can ruin the design of the entire house. Oftentimes, people buy garage doors without thinking about how its color will affect the look of their house. Only after they see it from afar will they realize that the color of their garage door makes their home look unappealing. If this happens to you, don’t lose hope. All you have to do is paint your garage door with a new color. Many modern homes have a three-car garage style. It’s wide and it really affects how the façade of your home looks. Most garage doors are one-color and plain and at a distance it will look like a warehouse or a barn. Now, you wouldn’t want people to think you live in a warehouse or a barn, do you? Luckily, there is an inexpensive way to make the plain-looking garage door better—by painting it with different designs. This will give your door some texture and depth. You can for example design it so it will look like a castle door, or maybe you would want it to look like a row of French doors. Alternatively, you can also paint simple geometric shapes on it just to break the monotonous look. The possibilities are endless. Of course, you need to hire a good artist to paint the designs on your garage door, but it’s worth it in the end. If you have enough cash and you’ve had enough of the mundane and boring, generic garage door look, you can contact a garage door company and ask them if they have designer doors. These may cost some money, but it’s not a lost investment because a designer garage door will increase the value of your home instantly. Not only that, it will also give you that sense of accomplishment and joy when you get home and see your exquisite garage door open up. Giving your garage door a makeover is not vanity. In fact, it is useful and advantageous in many ways. First, it boosts your pride seeing that your garage door has a design that’s unlike everyone else’s. 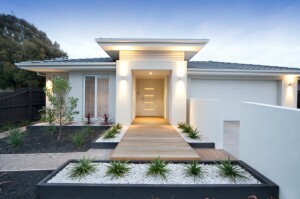 Second, it increases the value of your home and its curve appeal. Finally, it will make people appreciate the look of your home. When you’re building a new house, some of the things that you need to think about is your garage door. You will be presented with a lot of options. Some garage doors are heavy while others are light. Some are made of aluminum, while others are made of wood, metal or fiberglass. If that’s not enough, they also come in myriads of colors and designs. The truth is, choosing a garage door involves a lot of decision-making and of course, some stress. This article aims to help you decide which garage door is right for your home. Before buying a garage door, it is important to measure accurately the size of the garage opening. If the measurement is off for even just a few centimeters, you will not be able to install your new garage door. Those who are not confident about their skills in measuring should contact the garage door company and let them take the measurement. Some garage doors are not meant for homes with short driveways. Like for example, the type of garage door that swings out and up to open is not practical if the driveway does not have space enough for it. For homes with short driveways, the best type of garage could be the roller type or the sectional type. Garage doors are probably the biggest implement on the house and they’re highly visible to everyone. 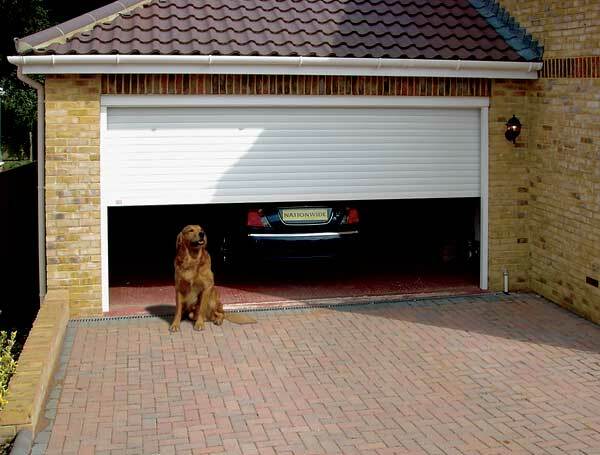 Because of this, a person’s choice of garage door could make or break his home’s curb value. While it’s true that garage doors are useful whether they look nice or not, it wouldn’t hurt if you choose one that will complement the total look of your home and get the appreciation of people who pass by. Colors and the material of your garage door make all the difference in this aspect because they’re what most people will see outside your home. This article would not be complete without talking about garage door materials. Each type of material has advantages and disadvantages. Wood is probably the most aesthetic of all garage door materials. It can be carved with elaborate designs or you can keep it plain. Unfortunately, wooden garage doors are also very heavy. Aluminum is the most common garage door material. It is very light and not easy to break, but it is prone to dents. Steel is the strongest material for garage doors.It also looks nice and elegant, but it’s extremely heavy. Steel garage doors are good for automation. Fiberglass is durable and light and can be painted different colors, but most of the time they are expensive. Garage doors are not cheap and people have to think hard before buying one. However, despite its price, the undeniable fact is that people need them. Garage doors are important for families who own cars because the car itself is another big investment that needs protection. People who are in the market for garage doors should choose wisely.